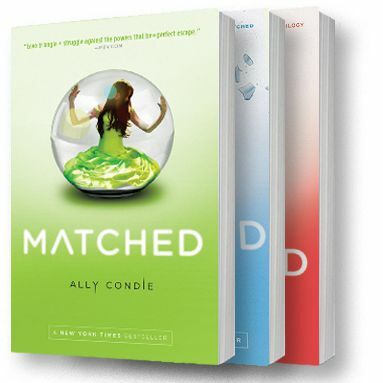 This week I'm featuring three successive book reviews on the Matched series by Ally Condie. I listened to all three audiobooks in a matter of days. Have you read Matched or the Matched series? Feel free to comment with your thoughts about the series, other Ally Condie books, and any other YA suggestions you would like to share! "Once you want something, everything changes." 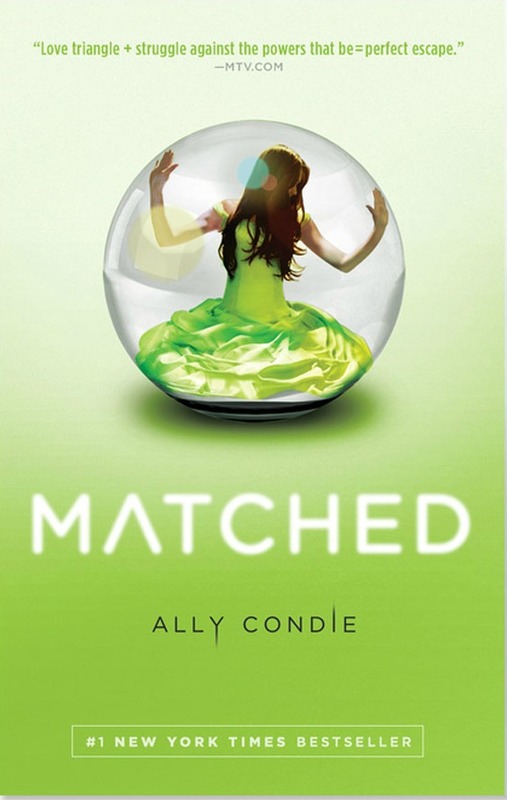 Matched, the first book in Condie's young adult science fiction, dystopian trilogy definitely engaged my interest from the beginning. While I generally don't read romance stories, I enjoy dystopian novels and was interested in the dynamics of the Society that Condie created. Matched begins with the matching ceremony of Cassia Reyes. Within Condie's dystopian world, seventeen year olds participate in a matching ceremony in which the Society matches them with their future spouse. In the Society, everything is purportedly under control and perfected--health, lives, love, careers, and on and on. Because the Society's citizens believe in this structure, they are happy to comply. When Cassia is matched with her best friend Xander--a rare Society occurrence--she is happier than ever. Upon going home, however, and viewing Xander's match information upon a microcard, it isn't only his face that appears, but briefly that of another boy she has grown up with, Ky. Thus begins Cassia's doubt about the so-called perfection of the Society. How could they make a mistake on something so important? When a Society leader approaches her and makes Cassia promise to keep the mistake quiet, she becomes even more concerned about the world in which she lives. What if Xander isn't her match? What if she is mean to be with Ky? Has the Society been wrong before? When she begins questioning this, taking notice of Ky in a way she never has before, more and more cracks in the Society's structure begin to appear. I enjoyed learning about the Society and wondering what was happening behind closed doors. The story becomes increasingly complicated as Cassia realizes the majority of the Society's citizens are being used as puppets, but for what larger purpose? Lives end when dictated by the Society, love begins when initiated by the Society, and everything about the citizens' lives is manipulated according to the Society's decree--from clothing and food, to art and culture, jobs and leisure activities, and their entire futures. Citizens are even required to carry three pills with them wherever they go--one green (for calming), one red (for forgetting), and one blue (the Society claims the pill saves life, but Cassia will wonder if it instigates death). Condie's story is quick-moving, light, and enjoyable. I listened to the novel as an audiobook and enjoyed Kate Simses' clear voice and tone as she narrated the story from Cassia's point-of-view. The young adult series is well-suited for readers who enjoy dystopian plots, love-triangles, female heroines, coming-of-age novels, and stories that question social and political structures. Check back tomorrow for my review of the second book in the Matched series, Crossed. I remember loving this one, but bored with the second book. Ultimately, I never did finish this series. Looking forward to reading your thoughts on the rest of the series, regardless.